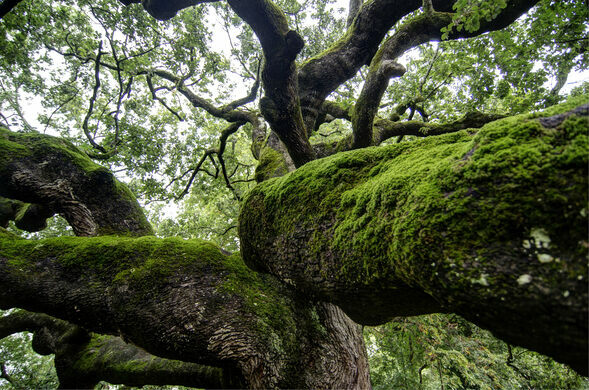 An enchanting oak tree thrives within a Tuscan forest. Its thick, mossy branches stretch horizontally, giving it a strangely squashed appearance. The old tree goes by many names, and has inspired its fair share of legends and lore. Mysterious tombstones thought to be remnants of Atlantis. 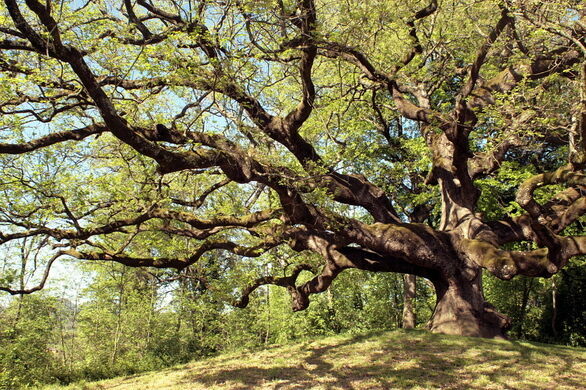 According to one local legend, witches once gathered at the 600-year-old oak. They danced wildly atop its gnarled branches, transforming the plant into a stage for their chants and ceremonies. Supposedly, their rituals stunted the tree’s growth and warped its shape, causing it to reach outward rather than upward. The old oak inspired another story, too, this one more familiar to children around the world. 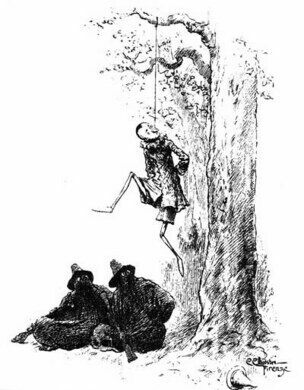 Carlo Collodi once sat beneath its behemoth branches while penning several chapters of The Adventures of Pinocchio. It inspired the scenes where the famous puppet meets the Cat and the Fox and where he is later rescued by the Blue Fairy after being hanged. 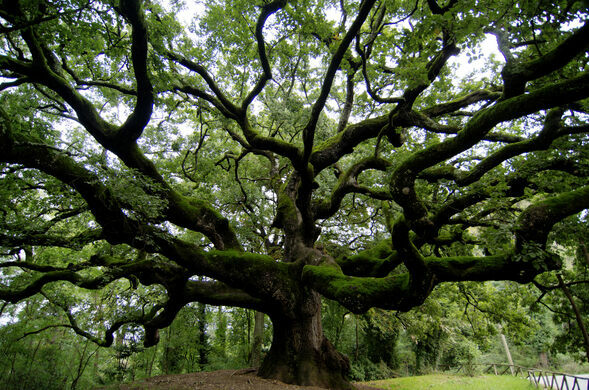 As such, one of the tree’s other names is Quercia di Pinocchio (Pinocchio’s Oak). The tree towers within an area that celebrates its Pinocchio connections with other sites related to the story. 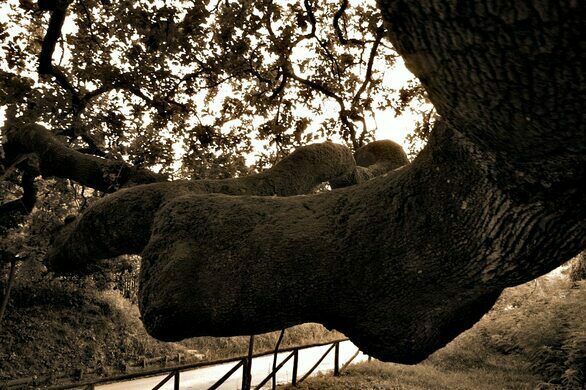 Italy’s government officially recognizes the legendary tree as a National Monument. Because of its large size and distinct shape, it also appears as a reference on NATO maps.